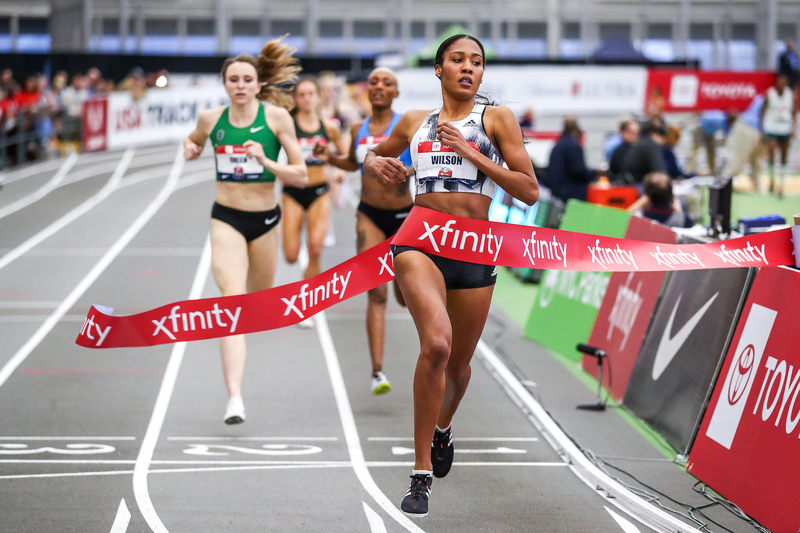 The 112th annual New York Road Runners Millrose Games, one of the biggest events of the indoor track season in the United States, concluded on Saturday, February 9 after two days of competitions at The Armory in New York City. 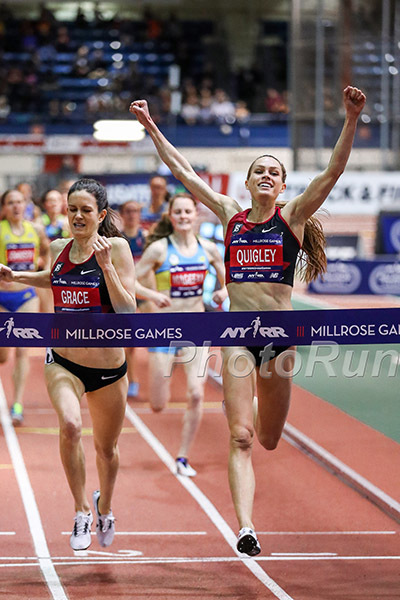 This year’s NYRR Women’s Wanamaker Mile, a stand-out event at Millrose each year, saw American runners sweeping the field behind first-place finisher Konstanze Klosterhalfen of Germany, with last year’s champion Colleen Quigley placing second with a new personal best of 4:22.86. 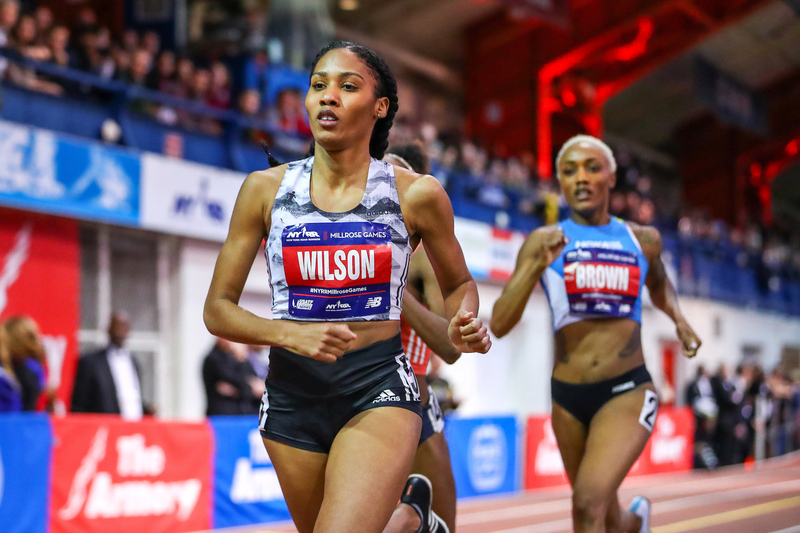 Ajee Wilson proved yet again that she’s the one to beat in the 800-meter, setting a new American record in the event with her finishing time of 1:58.60. 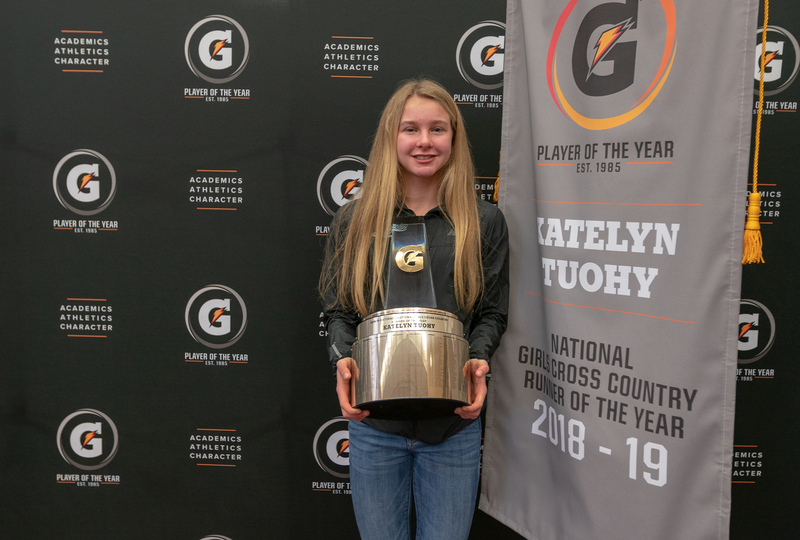 Though many were anticipating the return of high school junior Katelyn Tuohy (who was named Gatorade’s National Girls Cross Country Runner of the Year last week) to the New Balance Girls’ Mile, Tuohy did not race in the event, leaving Marlee Starliper of Dillsburg, Pa., to race toward a win and a personal best in 4:41.66. Browse through the gallery below for photos from this year’s event and find all of the race results by visiting the official event website. Photos by Kevin Morris. 2019. NYRR Millrose Games Indoor Track and Field. Photo by Kevin Morris.